Most guys would like to have bigger chest muscles... it might have something to do with the fact that 68% of women say that chest and arms are their favorite body part on a guy. That exercise, not surprisingly... is the bench press. The bench press is an intense, multi-muscle group exercise that stimulates the most muscle fibers at once and will result in some massive pecs with which you can woo the women. It is probably the best chest exercise for putting on muscle mass. There is a lot more to it than just going in and doing a few sets and calling it good. To really build chest muscle fast and stimulate muscle growth, there needs to be progression, overload, and muscle confusion. Here is a very effective pec workout that you can adopt into your normal routine that will get help you get some giant pecs faster than you would have otherwise. This is more about putting on serious mass... check this page out if you're more interested in learning how to get ripped fast. To preface this... one day a week when you do your pec workout you'll do bench press, and the second day every week you'll alternate between dumbbell incline press and flat dumbbell bench press. So every week you'll do bench press on say, Monday, and then that Friday you'll do dumbbell incline press, and then on the next Friday you'll do flat dumbbell bench... got it? So for each exercise, here are the sets and reps you'll do. Do 4 sets of 20 with a weight that you can get the full 20 reps with. If its too easy, go up 5 lbs. Do 4 sets of 12. Again, move up 5lbs at a time when you do a set and you know you could have done more. Do 5 sets of 5. Obviously, you'll be using a pretty heavy weight, but go up 5lbs when you know what. 6 sets of 3. This is awesome. Only 3 reps per set but you'll be using really heavy weight and you'll feel like a badass (cuz you'll be WAY stronger by this point). 5 sets of 2. This is the money shot. Same thing as last time only better. 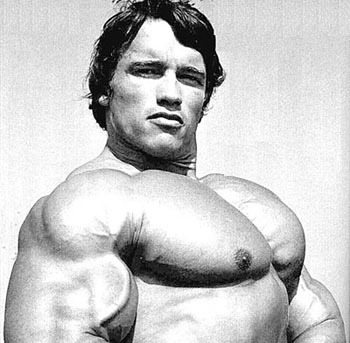 Thats it... after week 15 you should take a FULL WEEK off from lifting and enjoy your new giant pecs, and find a new program for the next few months. Completely switching up your programs every 12-15 weeks is a great strategy. It has to do with muscle confusion and never letting yourself plateau-out. As always.. make sure you keep everything you do written down in your workout journal, and eat a ton of muscle building foods.